The Baillon's Crake occasionally breeds in western Europe, but is most common in eastern Europe. The chance to see a Baillon's Crake is best in marshlands with reeds. 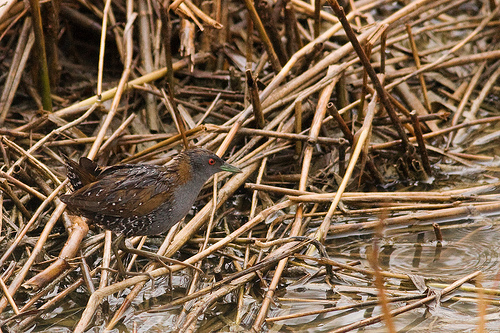 The Little Crake has a plain grey belly and a small red spot at the base of the beak. The Baillon's Crake has black and white stripes on the belly.